of the people who live here. is at St. James Town! 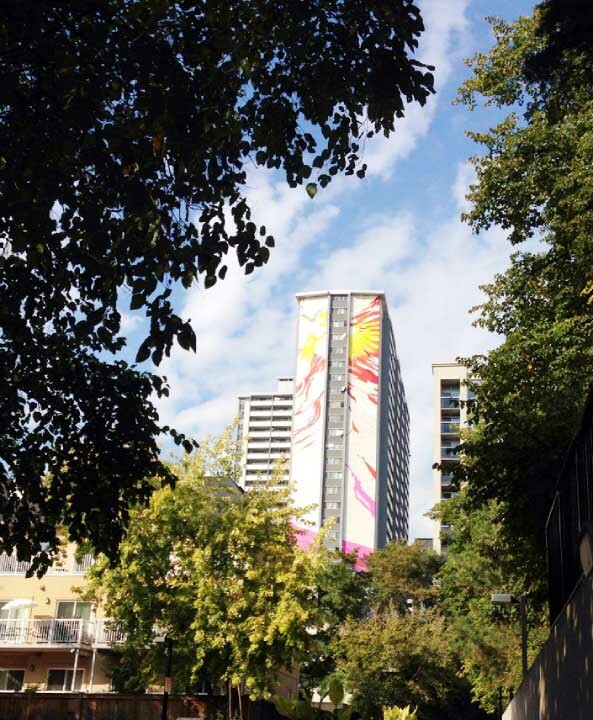 A neighbourhood of choice to call home! Improving the safety and security of St. James Town by collaborating with government and law enforcement agencies. Initiatives in the form of strategic directions for enabling relationships and trust between residents and strengthen the initiatives of SPN organizations. The Corner is a fully accessible set of offices, meeting spaces, program rooms and community kitchen dedicated to local initiatives and services to benefit the neighborhood. This collaboration between residents, public and private funders and service providers is a unique St. James Town community success story. 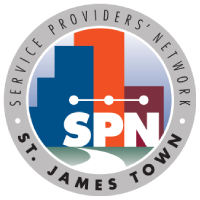 Know more..
Service Provider’s Network to coordinate and provide services to the residents of the Town. 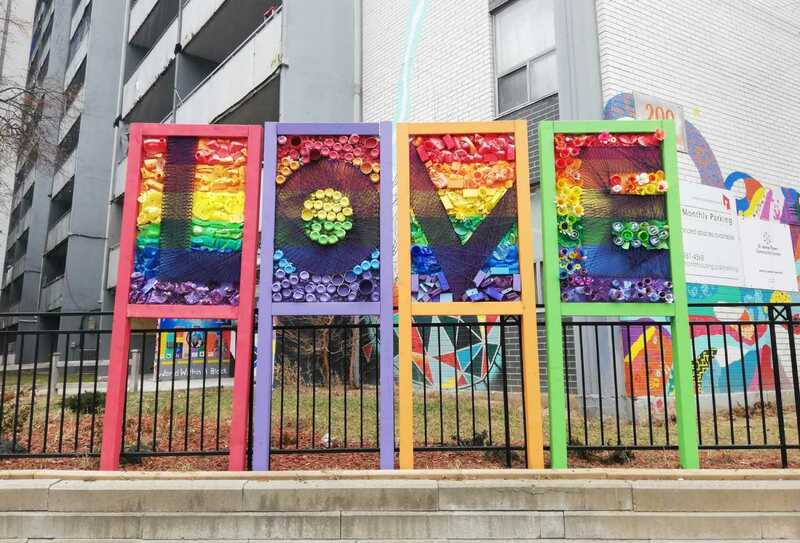 A first of its kind in Toronto the Health Access St. James Town (HASJT) works at The Corner and beyond, seeking to establish a model of integrated, collaborative care through inter-sectoral service coordination, service enhancement and community development. Personlized support and guidance through life’s ups and downs. Are you looking for a job, needing career advice? Are you a newcomer to Canada needing support? 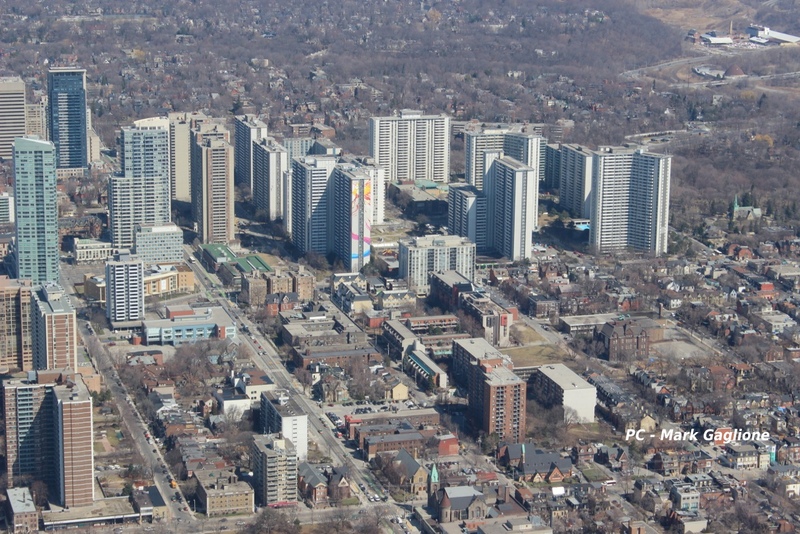 St. James Town is a highly diverse, densely populated neighbourhood of 25,000 with a high proportion of newcomers, low-income families, young families, youth, seniors living alone and people facing complex health issues. 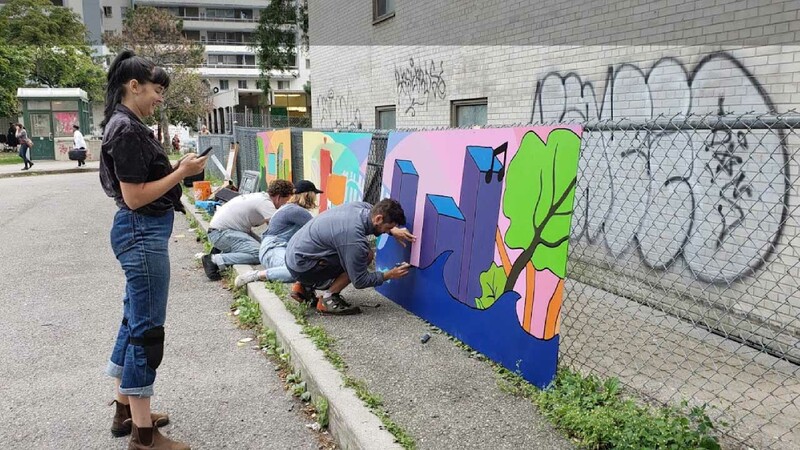 With support from the Ontario Trillium Foundation, the St. James Town community is working on a neighbourhood revitalization initiative using the Collective Impact framework. 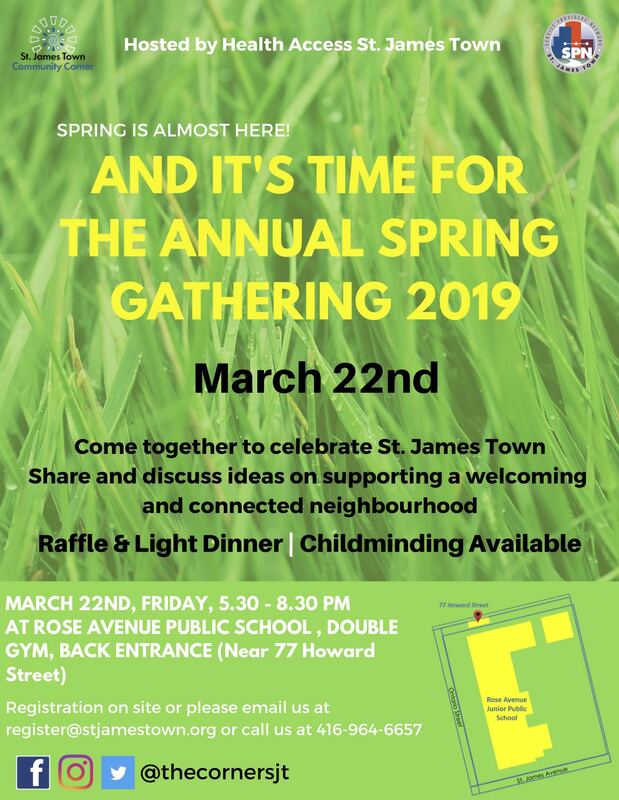 The ‘Revitalization of St James Town’ Collective Impact initiative will address core issues in the neighbourhood by building on the strengths and synergies between residents and other community key stakeholders to create a safe, healthy, vibrant, thriving community with a strong sense of belonging. 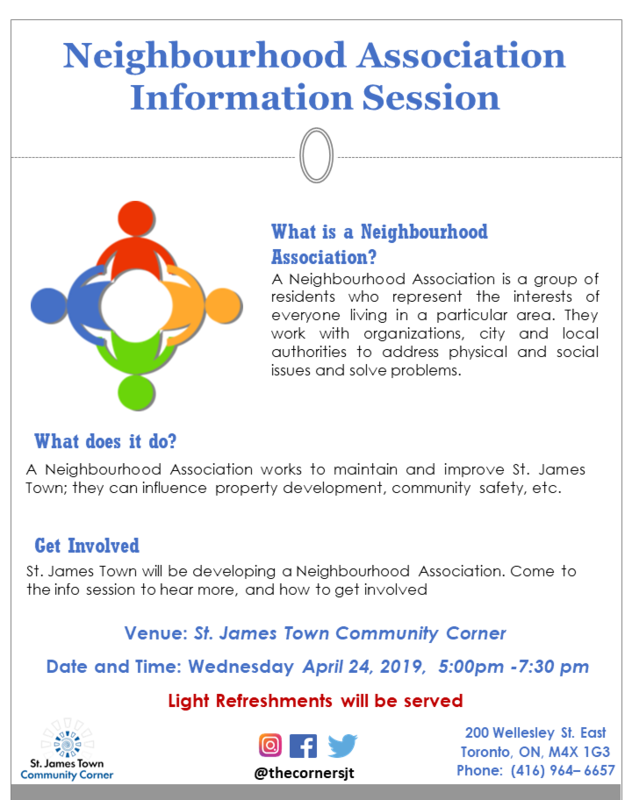 St. James Town is not currently designated as a NIA, but a resident-led petition is being circulated to request the City to review its designation. If you would like to sign the petition, please come to the St. James Town Community Corner, or click here to fill the online petition.